We’d love your help. Let us know what’s wrong with this preview of The Oaken Throne by Robin Jarvis. 'The Oaken Throne' charts the dark wars between the bats and the squirrels. Vesper, a young bat, and Ysabelle, the squirrel maiden are unaware of the events that will sweep them along on a nightmarish journey. To ask other readers questions about The Oaken Throne, please sign up. 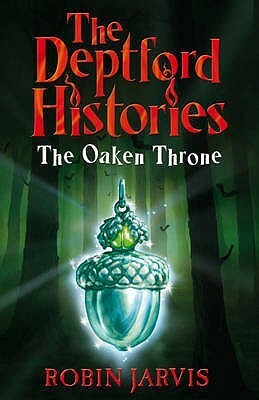 Do you think that a sequel to The Oaken Throne would ruin the story, or create new light on the how the world was after? I think I should learn that Jarvis's books are very close to being dark fantasy/horror. I was surprised by how dark this book was, but it was very good. It's a dark fantasy/quest story with animal protagonists, but it is also a story of friendship, prejudice, religion and fate vs. freewill. I cared a lot about the main characters (very unfortunate in any Jarvis book, I am learning), and through out the book was never sure which of the other characters were good or bad. Very good, very dark, an I think I should learn that Jarvis's books are very close to being dark fantasy/horror. I was surprised by how dark this book was, but it was very good. It's a dark fantasy/quest story with animal protagonists, but it is also a story of friendship, prejudice, religion and fate vs. freewill. I cared a lot about the main characters (very unfortunate in any Jarvis book, I am learning), and through out the book was never sure which of the other characters were good or bad. This is the second Robin Jarvis novel I've read, and I continue to be amazed at how dark and depressing a story about squirrels, bats and mice can be. I enjoyed the characters and the world Jarvis created, but the evil forces presented in the book are truly frightening. I was lucky enough to have Robin Jarvis come to the Secondary School I was in, and do a talk about writing to encourage us kids. He also had a sale of his books at the end and signed any we bought for us. From his descriptions of Vesper the bat, I just knew I had to get a book with that character in it, and thus bought this one (not caring it was the second part in a series). I still have and treasure that signed copy, and re-read it from time to time. His writing brings the scenes to life to the I was lucky enough to have Robin Jarvis come to the Secondary School I was in, and do a talk about writing to encourage us kids. He also had a sale of his books at the end and signed any we bought for us. From his descriptions of Vesper the bat, I just knew I had to get a book with that character in it, and thus bought this one (not caring it was the second part in a series). I still have and treasure that signed copy, and re-read it from time to time. Dark, but engrossing. Lots of action, and ends with a tragic twist. Don't expect daises and sunshine from the Oaken Throne. Do expect murder, cannibalistic rituals, conniving squirrels, freaky hares, interspecies love, ghosts and other ghastly things, pure evil shooting up from the ground, and one hell of a ride. A little bit Shakespeare, a little bit Canterbury tales, a little bit Tolkien. 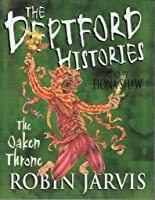 One of Mr Jarvis' more unusual outings, it tells the back story of the animosity between the bats and the squirrels that is hinted at in the original Deptford Mice trilogy. Might not be everyone's cup of tea but some of the chapters are surprisingly powerful. I just found my new favorite book. I've always preferred Robin's humanity-based books to his woodland creature features, but I have to say this one was uncommonly good; almost a miniature Lord of The Rings of The Forest. Twists and turns aplenty, as you'd expect from the master, and every one of them signposted to high heaven when you go back to check if you've been duped or not. But Robin, Robin, Robin - and I need to write this carefully to avoid spoilers - what you did to him at the end, oh, that's so cruel. So, so cruel. It's I've always preferred Robin's humanity-based books to his woodland creature features, but I have to say this one was uncommonly good; almost a miniature Lord of The Rings of The Forest. Twists and turns aplenty, as you'd expect from the master, and every one of them signposted to high heaven when you go back to check if you've been duped or not. But Robin, Robin, Robin - and I need to write this carefully to avoid spoilers - what you did to him at the end, oh, that's so cruel. So, so cruel. It's why I love your books, but it's also why, in my heart of hearts, you make me despair. I think that there should be an entire series dedicated to this book alone. I personally want to continue reading what happens to the characters. When people read books they can become one with the characters and I need another story until then I am frozen in time and just going through the motions. I LOVED this book - this is one of Jarvis's best. Nothing like becoming engrossed in a story with a twist which takes your breath away, and an ending that brings a tear to your eye! Beautifully written and one of my favourite books. You start to expect twists in Jarvis's books by this stage, and this doesn't disappoint. A dark quest which shows the reasons behind the loathing felt between the squiirels and the bats. I liked this book. Good against evil in the animal world. Characters strive to get to greenreach, which is like the holy place. Another great kids for all ages book. This book follows the adventure of the squirrel world. “Have no fear," the voice told her, "for in thee lies the hope of all. Only thou can deliver the land from darkness." "How can I?" she asked. "I am just one against so many."